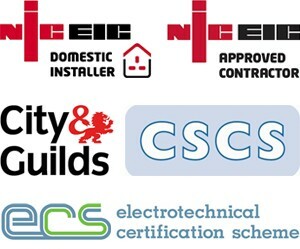 At Stator Electrical Solutions Ltd, We exceed the requirements for holding NICEIC and trading standards accreditation. Our vast experience, specialist skills & knowledge allow us to be highly competent across several sectors. Our electricians are trained to complete all types of Electrical work including but not limited to: New installations, rewires, repairs, fuse box upgrades, electric showers, garage supplies, garden lighting and power, security lighting, CCTV, Alarms, emergency lighting, fire alarms, Testing & Inspection, Fault Finding and PAT Testing. Any work undertaken is completed to the highest standards with an insurance backed guarantee, ensuring that all of the required legislation and guidelines are met. Stator Electrical - Registered with the NICEIC Approved Contractor Scheme. Working to the 18th Edition of the IEE Wiring Regulations and all our operatives are fully trained and hold up to date certification in their implementation.